Everyone loves to blame recruiters when things go wrong with a placement. When a candidate backs out, a client mysteriously stops returning phone calls, or a hiring manager tells a candidate that the position is closed (during the interview), one thing is always true: it’s somehow the recruiter’s fault. Recruiters, whether corporate or agency, are the facilitators of the talent transaction – they are communicators, very much like lawyers, brokers, and some bankers. Their performance depends on a lot of intangibles like their own honesty, their own motivation, and their personality. However, because their job is rooted in effective communication, a recruiter can only be as effective as their best source of information. The job isn’t real: It has been proven that 94.6% of open jobs are about as real as the tooth fairy. Ok, maybe it hasn’t been proven, but recruiters have to be very careful to understand the likelihood of a hiring manager actually hiring someone for the job they describe to you. Jobs can have ridiculous requirements or be way out of whack with market salary. Sometimes people keep jobs open because they will lose their budget if they close it. Other times, the position is more like a wish list than a job order. Qualification of a job order is the most important task a recruiter does – before you spend time recruiting, be sure that the position is real as taxes. The job is filled already: Perhaps the worst thing hiring managers do to recruiters and candidates is have them recruit on positions that are essentially already filled. They select a candidate (usually their friend or neighbor’s kid), but then get other candidates in to perform “due diligence.” It gives the candidates hope without cause and wastes everyone’s time. Be sure to ask hiring managers if they have already interviewed anybody for the job and what they thought of them. The job isn’t funded: This one is easy to take care of – just ask them! It seems like a no-brainer, but hiring managers proactively interview for jobs that aren’t funded yet. They will often select a candidate and then go to their boss and plead for additional headcount. If you’re inside the company, check the budget for the position. If you’re outside, you can at least just ask the question and hope that they give you an honest answer. They are quitting tomorrow: Turnover inside a department can signal instability or impending changes. Most recruiters have had the experience of placing a candidate only to find out that the next week, the entire department quit or the hiring manager goes on an extended leave of absence. These kinds of changes are confidential, so you can’t really ask about them. However, you can assess the reason why the position is open. If it is open due to turnover instead of expansion, dive into the reasons a little bit and understand the current climate inside the department. The last guy had a heart attack: Department heads are reticent to discuss negative aspects of working under their direction, however, you can try to assess the type of manager that they are. If it’s a very high stress environment, you should know that. A great recruiter has to communicate with the hiring manager in a way that brings out all the details in a non-judgmental way. Long hours, micro-management, or lack of direction aren’t necessarily bad things – they are just bad things for certain people. Assure hiring managers that you aren’t trying to judge them, you are trying to get a realistic understanding of the real job environment in order to make a perfect match. They’re working with 119 recruiting agencies: Whether you are working internally in a recruiting department or as an agency recruiter, you want the hiring manager’s attention and dedication to working with you. Try to assess the recruiting channels that they are using – if they are excessively numerous and/or you aren’t getting good feedback, move on and work with someone else. Recruiting requires a lot of communication, and there is no way to do it effectively with a hundred different people or companies. They don’t understand what they want: After taking a detailed job order and understanding the position, you think you understand what the hiring manager wants. However, many times recruiters will get a call two days later describing what sounds like a completely different job. Be very careful here. Is the job description a clarification of the old one based on some new information? Or is it a completely different job? If it really is a different job, you have to call the hiring manager on it. If you spent your time recruiting on a position that was never real, there is a good chance that the new position isn’t exactly right either. Try to figure out if the hiring manager knows what they want – they will often not care to tell you that they don’t really understand what they want! Working with hiring managers is of course just about the most fun part of recruiting. You can develop relationships based on trust that often turn into great professional partnerships and even friendships. 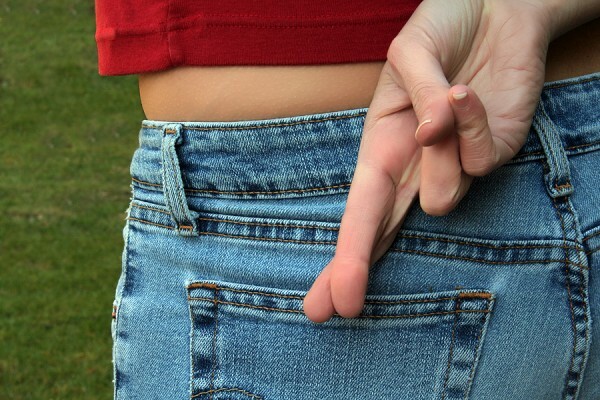 However, too often hiring managers either lie to recruiters or don’t tell the… absolute truth. Just as they judge recruiters, it’s your job to hold hiring managers to a high level of performance. The most important aspect of this performance is, above all else, honesty and effective communication.